In yesterday’s post (Part 2 of my series on Real Fat Loss Nutrition) I blew the lid off the typical mainstream white starchy carb advice by revealing the truth about white potatoes and white rice. I also exposed a huge hole in the caveman (Paleolithic) approach to nutrition in Part 1 of this series. Even though I think this is a great approach to overall nutrition, if you’re active you’ll quickly hit plateaus and kill your hormones that control fat loss if you don’t modify it. 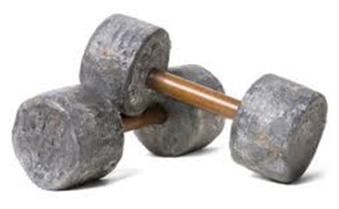 This is SUPER important stuff in order for you to be long term fat burner. Today, I’m going to expose exactly why consuming lower glycemic starchy carbs like yams and brown rice can be a seriously misguided choice if you exercise and your goal is aggressive and sustained fat-loss. Even though yams and brown rice are very healthy starchy carb sources, when it comes to fat-loss they’re not the BEST starch choices in my opinion. But in my opinion this can be VERY misguided advice for those of us seeking six pack abs or, at the very least, a flatter stomach. The glycemic index attaches a number to food, which indicates how much it will raise blood sugar and/or spike insulin. The higher the number, the higher the insulin spike. The lower the number, the lower the insulin spike. And since it’s nearly impossible to burn fat in the presence of high insulin, it would only make sense to choose lower glycemic carbs every chance you get. However, this number basically becomes irrelevant when you combine any starchy carb with other foods (it then becomes about the glycemic load…not the index). And since you should NEVER eat a starchy carb by itself anyway (more on how this works in Part 4 of this series), the glycemic index shouldn’t mean diddlysquat. Proteins from starches almost always contain gluten, which can actually block the absorption of protein and causes autoimmune diseases in many folks. In fact, gluten is another reason I recommend people cut out ALL processed foods at least 5 days of the week. It only takes a teeny, tiny amount of ANY type of gluten to have a toxic effect on the body. Even so-called healthy grains that have protein in them contain “anti-nutrients” that can be very problematic. Besides all this, you should easily be able to get all the protein you need from naturally fed animal proteins and limited amounts of dairy instead. My advice is to stop choosing ANY impact carb because it has more protein. That’s not what carbs are for. Choosing a starchy carb because it’s high in fiber is amateur advice. Here’s a quick example so you understand the big picture and you can take this advice to heart. 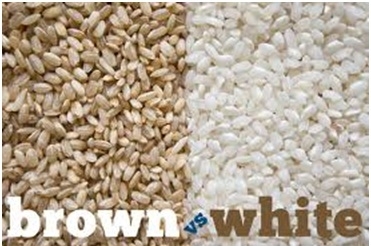 The main difference between white and brown rice is the processing and nutritional content. This means pretty much all of the key vitamins and minerals in white rice are lost including the fiber. Now you can see why we’ve been told to use brown rice instead of white rice. And when we’re trying to eat healthy balanced meals and keep blood sugar stable throughout the day without exercise, this is a great choice. It’s a decent bonus side effect, but it shouldn’t be “the reason” you’re eating starches. In fact, these particular starches with higher glucose chains will even help you avoid the metabolic slowdown that’s associated with dieting and fat loss. Now you can see why I love glucose. All natural starches in their purest form and whole fruits should serve as a primary source of anaerobic fuel and for creating anabolism, which ultimately equals better performance, a healthier metabolism, and faster fat loss. This is why the modern day Caveman would add white rice and white potatoes to his plan if he was lifting weights or doing cardio and intervals. Time them …Combine them…and Prepare them so this entire process doesn’t backfire on you. And that’s exactly what I’m going to cover in the final episode (Part 4) of this series on the modified Paleo/Caveman diet and Real Nutrition. In the meantime, check out these resources to make these philosophies part of your lifestyle. After all, there’s a HUGE difference between knowing all this awesomeness and actually have a proven plan to follow through and actually do it. Listen, I know the information in this nutrition series challenges the normal belief systems of the weight loss industry, but if you’ve followed along closely it should make total sense. So if you learned something new or you just dig today’s post, please drop a comment below and make sure you “like” it to share the love. It’s the best way to help other people and get them to listen too. I know how busy today’s crazy world gets, so I want you to know that I appreciate you spending time reading this series. Shaun “The Myth buster” Hadsall! Thanks! Ahhhh! Now I get it! Great article, Shaun; I see the logic of your argument now. God knows, I have always liked rice and potatoes, and used to think (back in the day) that they were decent sources of starchy carbs. Cannot wait for your 4th article on this. Keep up the great work! I can honestly state to you here that via your program and continuing articles, I have lost 7% bodyfat and increased my muscle density by 3%. They ain’t a lot, but they are movements that motivate me to stick to it! Thank-you Shaun! This is perfect timing because I just cut out all grains, and seriously started eating like the caveman. I went three days without fruit, and couldn’t take anymore. When it says don’t eat fruit, I was wondering if the caveman didn’t eat fruit, when were fruit trees invented?!! Everything you say makes sense, (and I really enjoyed those cherries). I’m sorry Shaun but how can you say don’t follow the paleo diet then recommend it at the bottom. I had a death in the family and for four days ate what was given to us by friends which consisted of mostly carbs and cheese. I gained 4 pounds. Three days on the paleo diet and all of the weight came off and then some. Staying away from bread, flour, sugar, and grains has made me feel great and I am not hungry at all. I am eating more nuts and incorporating healthy fats. I believe I was introduced to the paleo diet thru you and I say thank you very much, It is just right for me. Thank you for the clear information. So since I’ve just started all this and am not yet working out, I’ll stick with the brown rice & sweet potatoes for now. 7% is nothing to sneeze at Marty….ESPECIALLY when your increasing your muscle density simultaneously. Not many people can pull that off so you should be proud of yourself for the focused effort. Nice work! Working on article #4 for you right now…stay tuned and thanks for commenting and sharing your success. You got it. If you’re sedentary stick with the brown (or black) rice and sweet potatoes. Both awesome foods to keep your metabolism healthy…just make sure to read tomorrow’s post so you get the big picture. If you don’t eat em’ the right way they can spike insulin and promote fat storage. Have a great day Renee. As usual, a brilliant article! What is your view on Honey as a sugar sustitute / carb source? Very enlightening and great post…Thanks Shaun, knowing the right infos makes a world of difference, can’t wait to read part 4. Thanks again and have great weekend. If you read this entire series, you’ll see that I believe in 90% of Paleo…but if you’re exercising consistently it has to be tweaked and modified…for several reasons I shared throughout this series…. Additionally, I clearly indicated that if you don’t exercise consistently, it’s an awesome plan to follow. I’m not sure if sedentary people need that much protein, but Paleo is better than 95% of diets out there. I appreciate the feedback Alia…just makes good ole’ fashion common sense doesn’t it?? Glad you like it…thanks again. 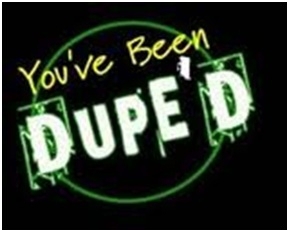 Hey Shaun I was wondering are you going to make a program incorporating paleo and carb cycling ? YES. I’ve already outlined and designed the entire system and I’m in the process of teaming up with one the world’s top authors and nutrition gurus. Were joining forces to combine the best of both worlds….stay tuned Robert. Thanks for asking. My plate is very full with projects but I’m super excited about this product.